Size of this preview: 800 × 560 pixels. Other resolution: 1,325 × 928 pixels. 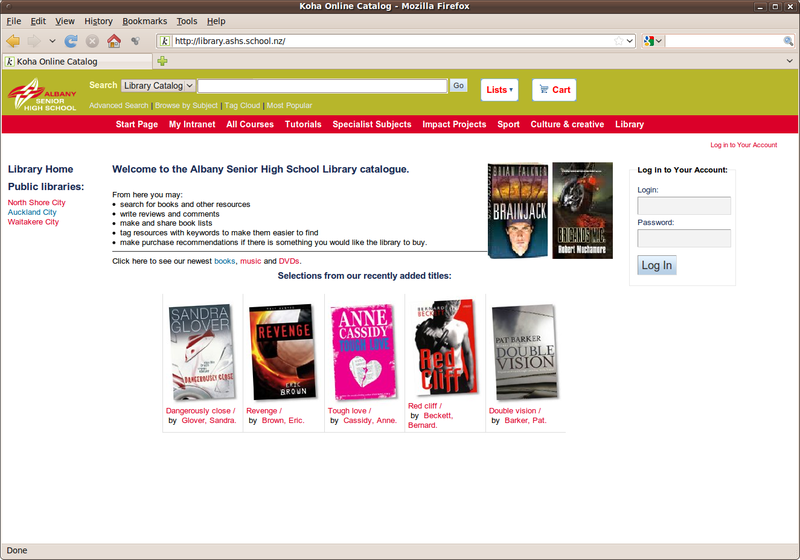 Front page of the open source ILS Koha, as used by Albany Senior High School.